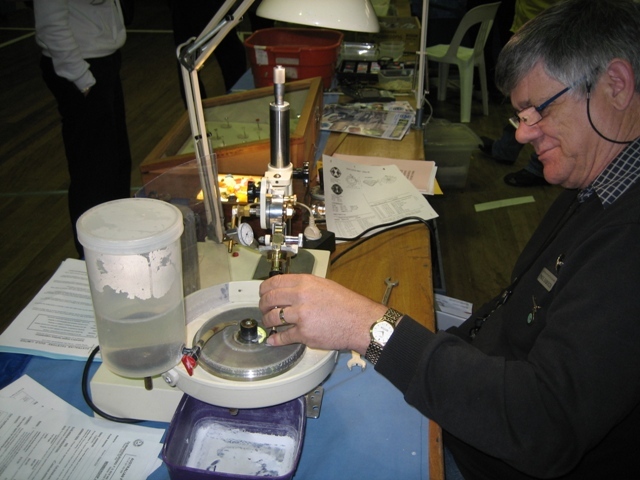 The Council is pleased to offer clubs a range of interesting courses in the craft of lapidary. The minimum number in a class will depend on the type of class and complexity. The minimum cost for these weekend courses is $300 (i.e. $30 per person per weekend for 10 attendees). If more than 10 people attend the cost is still $30 per person with the extra going to the G & L Council to help cover transport costs. If fewer than 10 people can attend, your Club should enquire if another club could join in or the remaining number of people may need to agree to make up the shortfall – i.e. if 6 people that would be $50.00 each per weekend, or if 8 people then $37.50 each per weekend. Please enquire with the Council regarding possible alternative arrangements. Payments are made to the Gem & Lapidary Council who reimburses the tutor (including transport costs). Accommodation (billet or Caravan Park) is provided by the club together with lunches.